Precision medicine for cancer is an approach to deliver the most appropriate treatments based on the characteristics of your cancer. Rutgers Cancer Institute of New Jersey has been at the forefront of such cutting-edge science since 2013, even before the launch of a bipartisan national precision medicine initiative in 2015. Tumors, like other tissue, have DNA (which together, make genes). 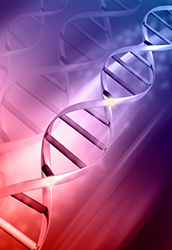 Changes in DNA may lead to uncontrolled cell growth and cancer. Our Precision Medicine team at Rutgers Cancer Institute reviews your results from cancer DNA (or gene) sequencing analyses, as well as your medical history to make recommendations on potential treatments. Your gene changes may be similar to changes in other cancer types, broadening the range of potentially helpful treatments for your cancer. Also, new therapies targeting the changes seen in your cancer may be used in clinical trials, providing additional options. Precision medicine helps our doctors make informed decisions on the most personalized and effective ways to treat cancer for each individual patient. 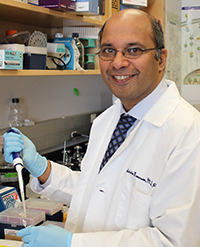 Shridar Ganesan, MD, PhD, associate director for translational science and chief of molecular oncology at Rutgers Cancer Institute, is leading a clinical trial that uses DNA analysis to examine rare cancers and those resistant to traditional therapies. He notes the sequencing is a different approach to identifying treatment. "In recent years we have learned that cancers that arise in one organ, such as breast cancer or lung cancer, are not just one disease, but rather a collection of distinct diseases with varying responses to different treatment strategies. We therefore need to examine many features of each cancer to better classify it and identify effective treatment," reported Dr. Ganesan. What does Precision Medicine at Rutgers Cancer Institute do?